"Outstanding...Plenty of convincing action bodes well for a long and successful series." 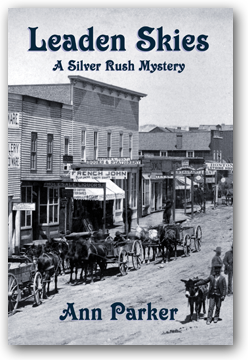 Autumn 1880 in the Rocky Mountains brings frost, snow, and the return of Silver Queen Saloon owner Inez Stannert to Leadville, Colorado. 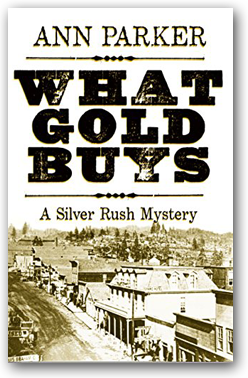 In this silver rush boomtown, those who are hungry for material riches seek their fortunes in precious metals. Others, hungry for spiritual relief, seek to pierce the veil between life and death with the help of fortunetellers, mediums, and occultists. Deep in the twisted byways of Leadville's Stillborn Alley, soothsayer Drina Gizzi awaits the promised arrival of her benefactor, the mysterious Mr. Brown. When she is found murdered, strangled with a set of silver and gold corset laces, no one seems to care except the three who find her body—Inez, her lover Reverend Sands, and Drina's young daughter, Antonia. The mystery surrounding Drina's death deepens when her body vanishes without a trace. 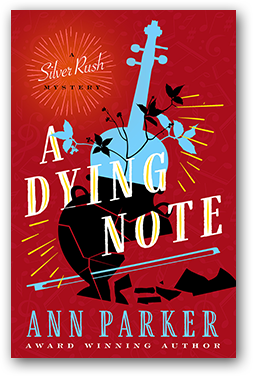 As Inez and Antonia band together to seek out Drina's killer, they unearth disturbing evidence of underground resurrectionists, long-held grievances, and white-hot revenge. Meanwhile, Inez's husband, Mark Stannert, true to his word that he only "plays to win," contrives to drive Inez and Sands apart, gambling that he can convince her to abandon her plans for divorce. But what can gold buy, after all? A new life? Freedom from the past? Truth and justice for those murdered and unmourned? Or a final passage for Inez and Antonia into an unmarked grave and the world of the dead? And what of Mr. Brown, whose missing presence hovers over all, like a spirit from beyond? 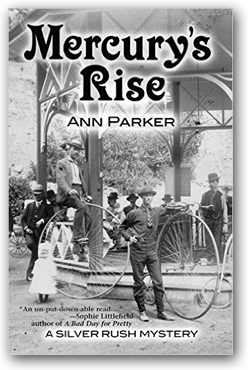 Inez Stannert, one of the partners in the Silver Queen Saloon in Leadville, Colorado, travels to a fashionable summer retreat for a reunion with her son, now a toddler in the care of her sister. Manitou, at the foot of Pike's Peak, was not just a spa tourism destination in the summer of 1880--it was often a last resort for those ill with tuberculosis. 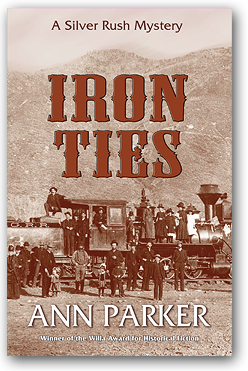 Inez and her photographer friend Susan chose the stage coach for the scenery, but their journey to Manitou turns lethal when East Coast businessman Edward Pace grows faint, swigs some medicine, and dies under their horrified gaze. On their arrival at the posh Mountain Springs House, Pace's widow rejects a weak heart theory and begs Inez to investigate. As Inez digs deeper, she uncovers the shady side of spa tourism including spurious claims, profiteering from the coming bonanza in medicinal waters and miracle cures, and medical practitioners who kindle false hopes in the desperate and the dying. Pace's sudden demise is not the only event that tarnishes Inez's hopes of a happy reunion with her son and sister. Mark Stannert has reappeared after a year and a half's unexplained absence. Now she must fight to hold on to her child and the life she has built for herself in an era where "independent woman" is an oxymoron. The railroad is coming west, all the way to Leadville and its rich Rocky Mountain mines, not to mention millionaires. And who is coming to celebrate the arrival of the Denver & Rio Grande but Ulysses S. Grant, 18th President of the United States and former commander of the Union armies. Like other residents in the Colorado boom town this summer of 1880, Inez Stannert regards the news as mixed. 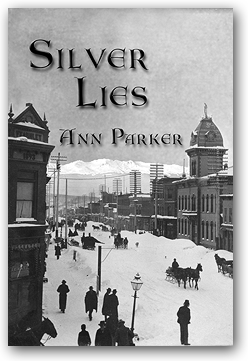 With her business partnership in the Silver Queen Saloon shaky and the bonds of family tightening (her husband is still missing and her baby is still back East), Inez doesn't need the lawlessness of Leadville to turn, once again, into murder. But Inez isn't the only one with iron ties to the past. Some folks have wicked memories of the war, others a stake in the competing railroad lines. And Inez's friend, photographer Susan Carothers, gets caught in the crossfire. . . . It happened in Silicon Valley. In Sutter's Mill. And in Leadville. Get in. Get rich. Get out.